It’s That Time of the Year! It’s Time to go Streaking! 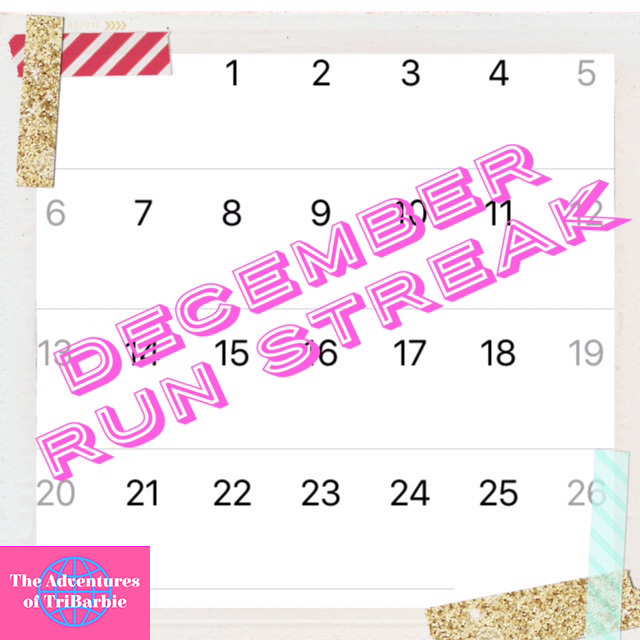 It’s that time of year again where I challenge you and myself to run every day. I will make it my goal to run every day for at least two miles or at least 15 minutes. Last year, I felt my endurance improve as well as my mental status. I actually looked forward to my one runs every night that wasn’t an intense training session. Ys it was tough to sometimes get out the door or hit the treadmill but I did it and even on Christmas morning! If you follow a training regime where you run every day except for the weekends, then try to get in that mile. If you follow a triathlon training program, same deal. Turn that bike into a brick! It will be especially tough during the holidays but I know you can do it!